Today I'm sharing some of my favorite personal resources chocked full of healthy eating tips. These books either changed my life or helped me deepen my understanding of preparing healthier foods or living a cleaner lifestyle — all in a fun way that make me feel freer, instead of trapped and limited. Eating became a JOY again as I began experimenting with all kinds of foods I have never tried before and fell in love with. Fun fast read that will forever change how you think about greens and nutrition and protein! Even if you've never tried or heard of green smoothies, this eye-opening book is refreshing and inspiring. Gourmet living foods recipes as well as glorious photos and Ani's insights into her healthy and environmentally kind lifestyle. A gorgeous book written by a gorgeous lady. Inspiring, full of content on her lifestyle, and fun to read. One of my most favorite un-cooking books! Straightforward simple recipes that helped me ease into eating more whole living fresh foods. Jennifer's down-to-earth style made raw food preparation less intimidating for me and her friendly words made me feel like I had a friend in the kitchen. And I loved the smaller portions as I was usually just making food for me - not 4-6 people like many recipes call for. 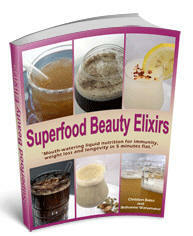 Great every day recipes with beautiful easy-to-make foods that keep you feeling full and free. Ani has a sweet tooth and so do I! Love her desserts... and if you like your cookbooks to be art as well as education, Ani's your gal. Her recipes are not always the simplest, as they are often gourmet, but they're fantastic and well worth experimenting with. One of the beautiful things about raw foods: Dessert can be fun and guilt-free again! Hallelujah. A raw foods diet doesn't have to be cold. Elysa Markowitz shows how to warm raw foods and preserve their vital enzymes. She includes recipes for dishes that are spicy, flavorful, and supremely good for you. A week-long menu planner will help you organize your ingredients so you'll have everything ready when you need it. Well-established in the raw food (and healthy living) community, Natalia Rose provides practical information with healthy eating tips, tons of recipes, and a lot of personal life wisdom with a focus on honoring our bodies and living a clean life full of fresh fabulous lifestyle. See how living foods fit perfectly into a life of balance and total wellness. Dr. Gillian McKeith (aka The Poo Lady), well-renowned nutritionist and host of the British television series You Are What You Eat, shares her wisdom in this must-have book. Simple healthy recipes and digestive, fitness, and healthy living tips. Freshen up your supply of healthy eating tips books so you have quick access to hands-on support and information you need when making a lifestyle change. With the right tools, motivation, and role models, anything is possible!